When you were in high school, did you get “strongly encouraged” by your mom or dad to seek a high paying, stable career? My dad was relentless in trying to get my two brothers and me to become eye doctors, military pilots, or pharmacists. At the risk of ruffling my dad’s feathers, getting into pharmacy school has become easy enough to threaten the future of the profession. As a student loan consultant, I admittedly see the higher end of the debt loads in every profession. In fact, our average pharmacist client has a student debt of $213,000. According to the AACP, the average for the class of 2017 was $163,494. That said, I’m hearing stories that should give anyone going to pharmacy school pause. If you’re already a pharmacist with a bunch of student debt, we can definitely help you get a plan to tackle it. If you owe less than 1.5 times your salary and you work in the private sector, you might just refinance your pharmacy school loans and pay them off. Neither one of those paths are ideal though. Refinancing to a 10 year or longer term or needing a specialized student loan consultant should not be necessary. It’s only happening because forces in the profession care more about their own profit and narrow interests. You can feel free to sound off in the comments about your feelings on that. If pharmacy stakeholders don’t change something soon, they could kill their golden goose. I want to shed light on the misconception that many in the public still have that pharmacy is a sure-fire career to a high income with job security. When 5% of the profession signs a petition to #ChangePharmacy, you know you’re close to a breaking point. For any figures in this article, assume that I got the data from the American Association of Colleges of Pharmacy (AACP). I also have to tell you that they don’t bear any responsibility for the interpretations or conclusions I make, which are my own. If you look at the 2018 report from the Pharmacy College Admission System (PharmCAS), you’ll see startling trends developing in the pharmacy world. In 2004, the acceptance rate for pharmacy school was about 32%. In 2018, the acceptance rate for pharmacy school is almost 83%. In other words, pharmacy school has gone from a highly competitive profession to one where almost anyone who passes their undergraduate science classes can get in somewhere. In 2006, Congress created the Grad Plus loan program. Under this new type of loan, a student could borrow an unlimited sum to go to a graduate program, up to the cost of attendance. Suddenly, students had guaranteed access to unlimited federal funds, with only the stated cost of attendance as a barrier. Universities figured this out, so many of them opened new pharmacy schools. In my view, they used the GAO report from 2000 and high average salaries as a rationale. Notice that the number of pharmacy schools and accepted applicants basically tripled over less than 15 years. Look at this data from the AACP on the average PCAT scores over the past five years. Here is the data for GPA over time. You’ll notice that the grades for admitted students, in general, have fallen over the same time frame that so many schools opened. To be clear, getting into certain pharmacy schools is still difficult. For example, getting into law school is now tremendously easy compared to the past as schools fight overqualified candidates. However, it will always be challenging to get into Harvard Law. In the same light, the best programs in the pharmacy will always have to turn away good candidates. They’re just not turning away nearly as many as they used to. 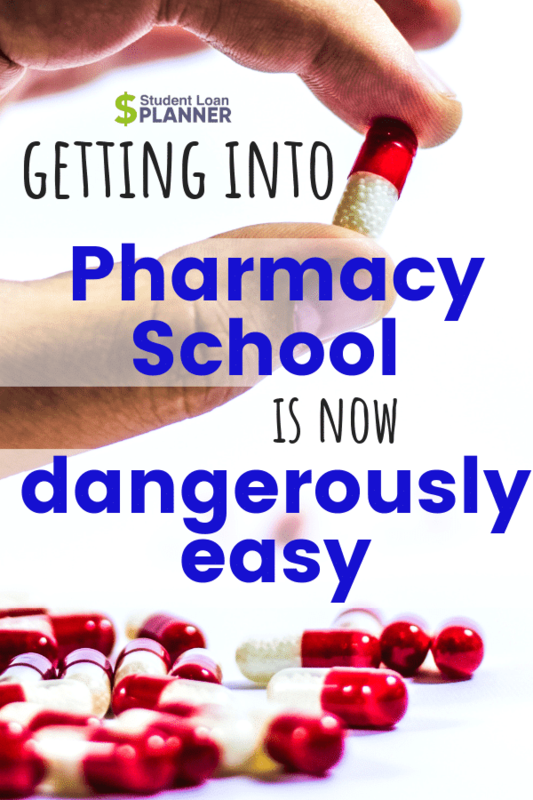 The higher cost schools in pharmacy tend to be easier to get into. After all, the schools have big profit margins and lots of incentives to push becoming a pharmacist as a dream career. The growth rate of jobs for pharmacists is expected to be 6% a year, on par with the average for all occupations according to the BLS. The growth in the number of admitted students over the past 15 years was 7.1%. While those numbers might at first glance seem to match up, they don’t. The need for pharmacists didn’t expand as fast as the government predicted. There are obvious cases of pharmacist job market distress, such as Kroger laying off all new hires earlier this year. Clients tell me that they’re having trouble getting full-time hours in many cases. In extreme cases, some pharmacist grads have told me they haven’t been able to find jobs at all. 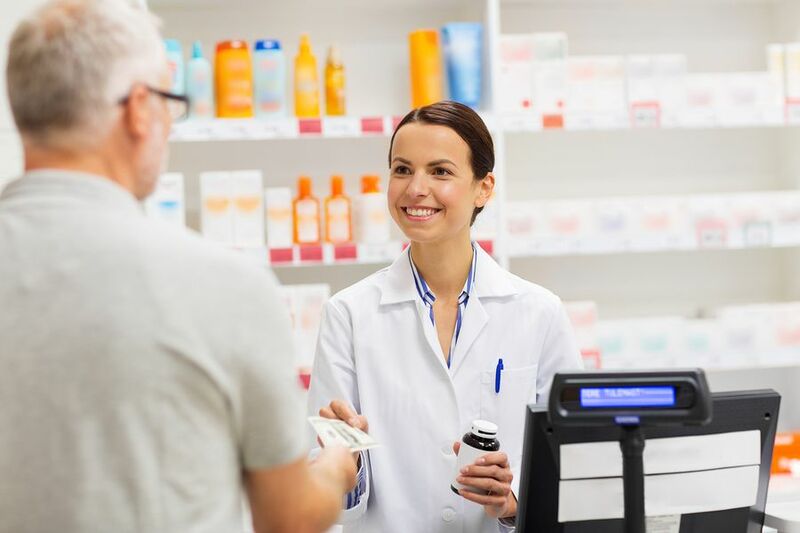 In big cities or areas with pharmacy schools, some readers tell me all they can get is part-time offers from CVS and Walgreens in the retail space. If you want to work in a hospital system, residencies are becoming increasingly common. Were pharmacy residency programs created because there was an acute lack of knowledge? My belief is that when there was a tighter job market, many pharmacists could learn on the job while earning a high income. Now, many hospitals and other employers use residents as a source of cheap labor. There are plenty of ways you can save on your student loans during a pharmacy residency, including signing up for PAYE or REPAYE to build credit towards loan forgiveness. You can even cut your interest rate if you are eligible for subsidies. Employers can hire two or three residents for what they pay one full salary pharmacist. Hence, I’d expect average residency length will continue to grow and more career paths will require advanced training after pharmacy school. How did getting into pharmacy school go from hard to easy? My dad would tell me stories as a high school kid about how someone’s daughter at church was going to make $120,000 a year working 4 days a week as a pharmacist. He was a teacher making about $50,000, so that sounded like a fantastic lifestyle. I think the combination of a culture that values high paying stable jobs with unlimited loan money combined with old-fashioned greed on the part of universities got us to this point in the pharmacy profession. 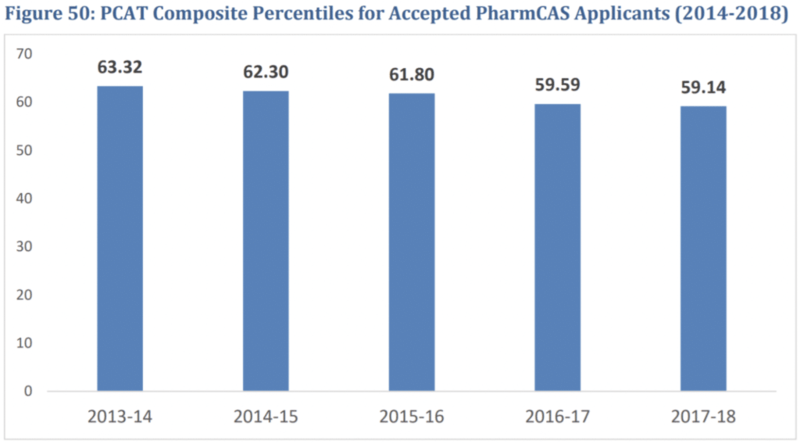 The host of the Pharmacy Leaders Podcast posted these admissions statistics first on Facebook, where I got the idea for this article. When I graduated in 2001 the running joke was if you have a license and a pulse pharmacies throw money at you to hire you. Now it should be “Do you have a pulse and an approved loan application? We’ll take you! The reality of student loan math is that many pharmacists cannot pay their student loans back easily with the earnings from their degree. However, if your income isn’t where you want it to be relative to your debt, you can utilize the student loan forgiveness options available to reduce the cost of your loans in real dollar terms. If you owe more than two times your household income in student loan debt, you probably need to implement a forgiveness strategy with PAYE or REPAYE over 20-25 years. If you work at a not for profit hospital, you need to get set up with PSLF. If you have a good debt to income ratio in a private sector job, you might consider refinancing pharmacy school loans. Even though the pipeline of new grads has flooded the job market with pharmacists, there are still plenty of new PharmD’s who are making lots of money, paying down their debt rapidly, and doing very well for their families. If that’s you, I applaud your effort and hard work. The problem is that the dynamics of the profession don’t guarantee that hard work will be rewarded financially as it did back in the day. You might need to move where the jobs are. Rural parts of the country still need pharmacists a lot more than suburban Tampa or Northern Virginia. Many of our highest earning clients live in places like Appalachia, the Midwest, or the rural South. If you keep a full-time job in a highly competitive job market, my suggestion is to have a high savings rate and prepare your finances for anything. If we have another recession like 2008 without a reform of student loan rules, I expect even more people will go to pharmacy school. Incomes will gradually be eroded until fewer pharmacists decide to work for the pay that’s offered or fewer students decide to go to pharmacy school. I would expect inflation level increases at best for pharmacy salaries as a whole. If you’re not already in pharmacy school, hopefully, these stats paint a realistic picture that getting into pharmacy school is now easier than ever. Schools will be fighting over you if you have good scores. You should also be skeptical of what admissions offices tell you. They’re locked in a brutal battle in many cases to justify their existence. Many pharmacists want fewer pharmacy schools after all. I’d expect there to be dozens of school closures if anything happened to restrict the flow of federal student debt. If you’re already a PharmD or working towards one, we’d love to help you make a plan for your pharmacy school debt. The profession is not all doom and gloom. Many of our clients set aside five and even six figures a year in savings as a family while efficiently tackling their debt. One of my friends worked in a community hospital and was using the wrong repayment plan and strategy (he should have been utilizing the PSLF program). His projected savings were over $200,000 from working with us. More typical findings include filing taxes the wrong way, paying too little on loans that need to be paid off, or overpaying on loans that will be forgiven. Regardless of your path, we’d love to make a student loan plan for your pharmacy school debt. If you want to read more, check out every post we’ve written for pharmacists struggling with six figure debt. What do you think these admissions statistics mean for the future of the pharmacy profession? Comment below and share your thoughts. I was with you on a lot of what you said until you stated that residency is “cheap labor” that’s not true at all. As a residency program coordinator, I take offense to that as we do a heck of a lot to ensure our residents are trainees and learning and are not being used for “cheap labor”. And almost every program, especially those that are accredited do the same. I think those who are a bit jaded about the profession would ask if similar learning occurred a decade ago before the proliferation of residencies, but at a much higher salary because the demand for pharmacists was so outstripping the supply. I don’t doubt you care and many professionals in charge of residency programs do. I just think that the explosion of residencies is partly because employers like the unit cost of having a pharmacist for $40,000 to $60,000. For physicians the hospitals have a lot of costs for the first year or two, but they make a large profit on residency and fellowship positions especially the more specialized ones. Residencies are cheap labor. As expected, you’re upset because you’re a residency director. The position that you hold creates an internal bias. A pharmacy resident and a fresh graduate are extremely similar in knowledge base. I often question why the majority of residencies are needed. Pharmacy students attend school for four years, complete a year of IPPE and APPE curriculum, and pass a licensing exam. The NAPLEX is used as a standard competency exam, meaning, students that pass are fully competent in the profession. The students have the knowledge and experience to perform the tasks of the majority of pharmacist settings. Yes I agree, further training may be required. But a year to two years worth? Give me a break. Residencies exist for cheap labor and because hospitals want to train pharmacists at a lower wage than they deserve. I think it’s clearly supply / demand related due to labor force market dynamics. To say that no training and learning happens under a residency program wouldn’t be accurate, but it’s clearly accurate to say that on the job training would happen anyway it is just now happening at lower wages because employers can get away with it. As a pharmacist, who is married to a pharmacy resident, I must say I am glad to see a clear description of the changes in future pharmacist career prospects and the economic variables involved. Unfortunately, the BLS was quite dilatory in updating the projections it provides on these matters, which may have pushed more students into PharmD programs than would have otherwise entered the field. It is important that the public is aware of these changes, not only for allocation of federal student loans and student career choice, but for pharmacy stakeholders, organizations, and policy makers to make necessary changes to preserve such a valuable patient and provider resource. 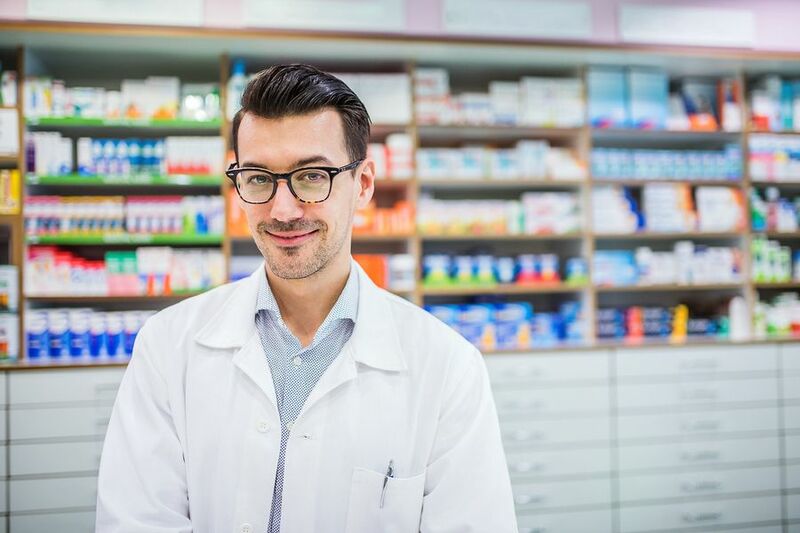 Automation, mail order and internet pharmacy, and software algorithm development appear to be outpacing disruptive innovation by pharmacists, as well as legislative campaigns, such as the effort to obtain provider status. Lackluster job outlook compared to previous projections seem to bear this out. To the point about the use of residents as cheap labor, I can say that several alumni from my graduating class found themselves, in accredited residency programs, being expected to staff their central pharmacies far more often than was listed when they applied. In some cases, these pharmacies avoided using, or even hiring, per-diem pharmacists, and instead have elected to call in residents to cover those shifts. With many newer pharmacists having trouble finding enough per-diem hours to maintain financial stability, I find this troubling; however, this is anecdotal and it is worth mentioning that there are not nearly enough residency programs to meet the surplus in supply of new pharmacy graduates, so the impact on the overall job market is still up for debate. I would be fascinated to see any economic data on this and will continue to follow it closely. A pharmacist thought leader mentioned there were thousands of students I think he said that didnt match that now need a job. It’s really intense out there and folks dont like to talk about it. Provider status could certainly help but we’ll see. I think most government forecasting programs dont overlay how employers and employees will respond to new incentives. They rely on the past too much. Clearly employers have a huge upper hand right now. CVS and Walgreens probably view availability of cheaper labor as a big competitive advantage in the battle to keep control of the market.